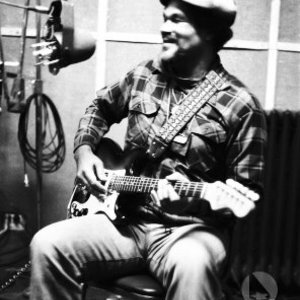 Louisiana Red's albums have been called masterpieces by critics, and in 1983 he won a W.C. Handy Award as best traditional blues artist. After living in Germany for 20 years, he has made a several triumphant comeback tours in the United States. But if you ask Red about it, he won't tell you much about his success. He'll much rather talk about his latest CD project, about a new song or a new guitar lick. Because Louisiana Red is constantly creating, always searching f?r another expression of his blues. For once, the hyperbole ist justified: Louisiana Red is the Blues. Born in Bessema, Alabama as Iverson Minter. His mother died a week after his birth. 1941 Louisiana Red's father was killed by the Ku-Klux-Klan. 1972 His first beloved wife died from cancer. Strongly influenced by Muddy Waters, Lightnin? Hopkins and Arthur Crudup, he has long ago found his own voice, his own style, his own form of expression. Louisiana Red has played with just about every major bluesman you can name, some of the most memorable encounters being his jams with B.B.King and Muddy Waters..
1983 W.C. Handy Award as best traditional blues artist. 1984 Marriage with his beloved wife Dora. 1997 The first triumphant comeback tours in the United States. 1998 Several comeback tours in the United States.